Remodeling your kitchen or bathroom is a big step. In fact, doing a home improvement project that includes the kitchen or bathroom is usually one of the more expensive rooms in the home to complete. However, when the home improvement goes right it can be amazing and give your entire look of the room much better. One thing that you’ll need to consider when doing a kitchen or bathroom remodel is what sort of pulls and hardware you’ll want on cabinets. 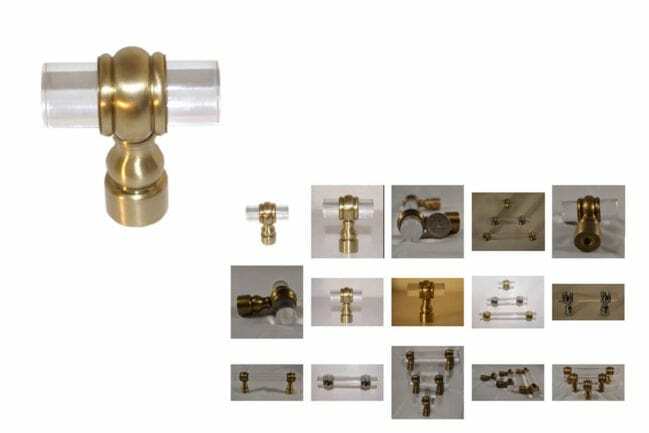 One of the better types of hardware many people are using today is Brass and Lucite hardware which looks great and has some pretty amazing designs that you can go after. If you’re looking for a small home remodel project that doesn’t cost much but makes a huge impact you’re still likely going to need great looking hardware to pull it off. One simple home remodels project that most homeowners do is refinishing their cabinets. This is a small job that doesn’t require demolition and usually can be done in as little as a few days or a weekend. You’ll need to consider what you’ll want to do with your current cabinets, to begin with. Painting the cabinets or stripping them down to re-stain and varnish is the usual choices. You would be really surprised at just what a new coat of paint can do to a cabinet in your kitchen, however. Once you paint the cabinets or stain them you’ll need to accent them with hardware such as brass knobs and pulls. You can change the entire look and design of your kitchen just by doing this small home remodel project. And this home remodels project can be done really quickly without much hassle. There are lots of advantages of using brass over other materials as well. One, in particular, is that they have excellent anti-bacterial properties. But the best property brass knobs and pulls have is that they look amazing. Even when you don’t paint or stain your cabinets you can still change the way they look at changing out the hardware and replacing them with Brass Lucite hardware. You can make a huge difference with a very small project of changing the cabinet knobs and pulls in your home. By getting the premium custom designed knobs and pulls for your home you can make it unique. A design that is specific to your kitchen or bathroom and was made specifically for you. This can be a huge boost in how your kitchen or bathroom looks and it makes an amazing conversation starter when others notice just how great they look.